Thomas Maximus and Krisztina Zur dominated Saturday’s Silver Blade Regatta, winning both of the men’s and women’s races respectively. 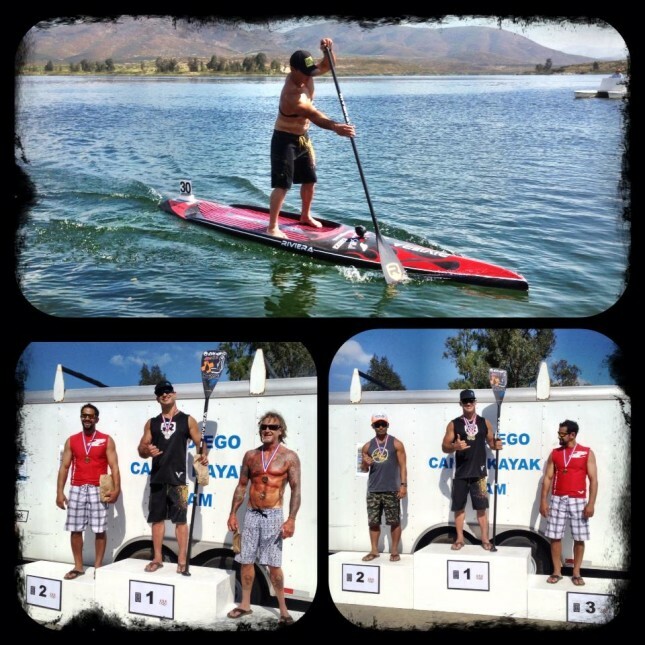 The event, now including SUP races for the third year in a row, is held at the US Olympic Canoe & Kayak Training Centre in San Diego and features both 200m and 2,000m SUP races. Krisztina, the London Olympic Gold Medallist, won both distances comfortably, while Maximus proved he’s not a one trick pony, trading his well-known unlimited board for a 14 footer and still taking the win in both the 200m and 2k events. Former Olympic sprint kayaker Rami Zur paddled well, taking the runner-up spot in the 2k and making the podium in the sprint, while Sean Pangelinan and EJ Johnson filled the other top spots. Over in the women’s, Kristin Thomas picked up a couple of seconds, while up and coming young gun Sofia DeWolfe made the podium in each event. The Silver Blade is an interesting event, as it uses the standard Olympic 200m sprint distance, and because paddlers compete in set lanes rather than all in a bunch (which largely removes the drafting aspect). We’ve already seen the event copied in a few other places (such as in Australia with the Black Blade Regatta) so it’ll be interesting to see if the appeal keeps growing. Having a set, standard course with no drafting makes it easy to compare times between events. You could host a local 200m SUP sprint race and still be “competing” against paddlers from all over the world, at least as far as the timing is concerned. But anyway, take a look at the full results from the 2013 Silver Blade Regatta below, then check back later for more pics of the action.